We all know that finding the right application for a specific job can be difficult, and with the massive selection available on the Android Market, it can be even more so. I thought it would be useful if I shared some of the apps I can’t live without with you. You may already use some of them, others may just help make you life a lot easier, either way, here’s a breakdown of ten Android apps that I can’t live without. I’ve broken it down into sections for you, all — apps for all users, notable mentions — may not be for everyone, but they always have a space on my phone and root — yes, you guessed it, essential apps for rooted devices. The image attached is the homescreen of my phone, showing you the Zeam app dock as well as the Widgetsoid custom toggle widget I made. This is without a doubt my favourite app, mostly because it’s the one I use the most. For those of you who don’t know what alternative launchers do, they are basically the interface you use to interact on your device. Zeam is a South African developed home launcher replacement and its minimalist approach, speed and app dock make this my #1 recommended app. The best part about this launcher is that there is an XDA forum and the dev is very active, something that I don’t think there is enough of in the Android world. So we’ve all seen the Instagram pics in our timelines, and when it comes to camera effects, I’m yet to find anything better, on Android, than Vignette. With more than 80 effects to choose from (they can also be applied before or after taking the photo) in a very small application, Vignette is available in both a free and paid version. And it is well worth it. HTC doesn’t have the best photo viewing apps around, actually, they all pale in comparison to Quickpic. It’s light on resource, super fast and integrates brilliantly with your device. Highly customisable and easy to navigate, I can’t imagine using a different image viewer, ever. This is a rather geeky inclusion, but an essential one, geek or not. Widgetsoid basically lets you create toggle widgets on your homescreens and allows you to turn anything, from GPS to your lockscreen on or off. You can also use it to switch between 2G and 3G data when you need to squeeze every little bit of juice out of your handset, for people who want efficiency, Widgetsoid delivers. It may be tricky to get used to, but once you do, you’re golden. Free and paid versions are available. One of the best looking and slick news apps out there, it delivers world news, sports, and also localised results, so you can stay up to date with what is going on in your area. Lighter on resource than the very popular Pulse reader, and for that reason, I recommend it, highly. No best Android app list would be complete with something from the Android masters, Google. Google Goggles is by far my favourite, it allows you to take pictures of anything before the app will connect (via wi-fi or mobile data, your decision) to the net, and deliver you results of what you took a picture of. Seen an awesome building or bridge, or wrapper, or landmark, but you have no idea what it is? Those days are well and truly over. Because I am a sports fan, I need to keep up to date with what is happening in the sports world at any given time, and ScoreMobile does just that. Its rugby integration isn’t all that, so rugby fans may skim over this one, but for its FA Premier League coverage alone, this is a great app to have. It’s live alerts system is flawless and very light on resource as well. This is singlehandedly the most important app I’ve installed in the past year. I used to be a compulsive flasher of random ROMs. (That is “geek speak” for “I used to try a lot of operating systems on my phone”) And when you flash a ROM you lose all your data, and downloaded apps, headache. Not with Titanium Backup though, backup all your apps, system data, and restore quickly and easily once your new ROM is up and running. I would recommend the paid version for this, it just makes life easier when you can reinstall 90 apps without having to allow the installation for each app. The paid version automates the process and makes it easy to get your phone back to where it was in no time. When you gain root access, you need to be able to browse you new, freshly unlocked data and for that, Root Explorer is my recommendation. Change folder permissions from “Read Only” to “Read Write” and back, delete, zip, unzip, copy and paste to your heart’s content with this lightweight, extremely versatile app. Free and paid also available, once again, I would suggest the paid version, for additional features. 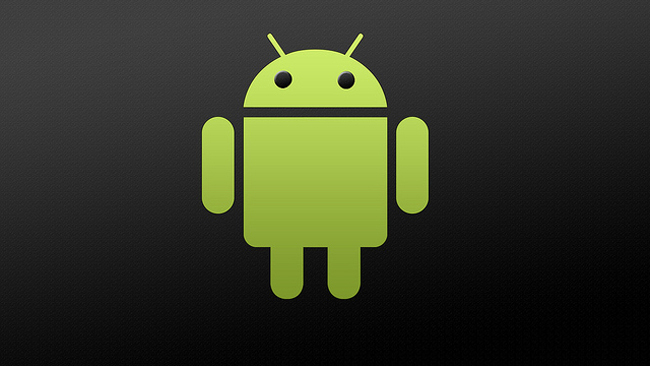 So those are my favourite Android apps and I am sure you have yours. You may have noticed that I like my apps as minimal and light as possible, to keep my Desire smooth as silk, however, there are some fantastic alternatives to all of the apps I mentioned. I hope you’ve been enjoying my posts, I’ve been enjoying writing them, but now, let me know, which Android apps you couldn’t live without, after all, sharing of information is what this superhighway is all about.